We hope you found Schooner yesterday! 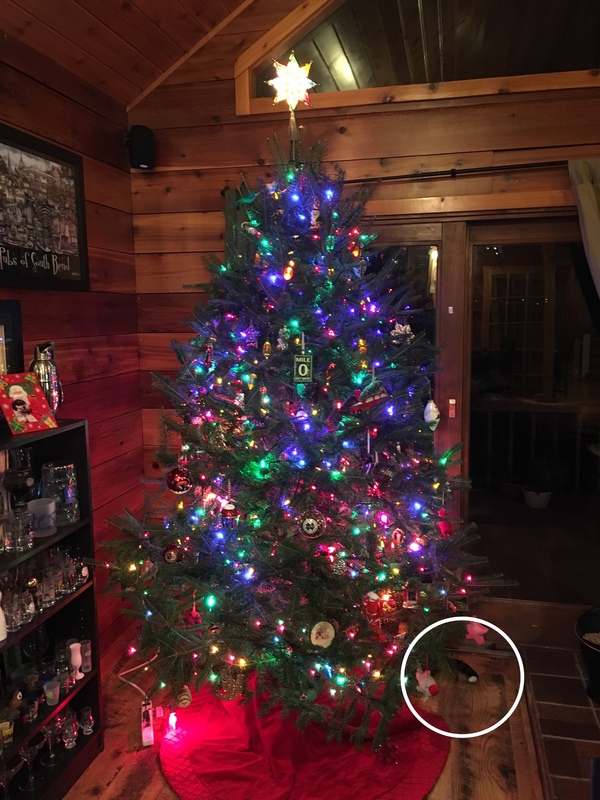 Don’t know if you were trying to hide or just inspecting under the tree……next time tuck your tail in! I thought you were a chew toy. Yep. I was right. That tail is a dead giveaway every time!